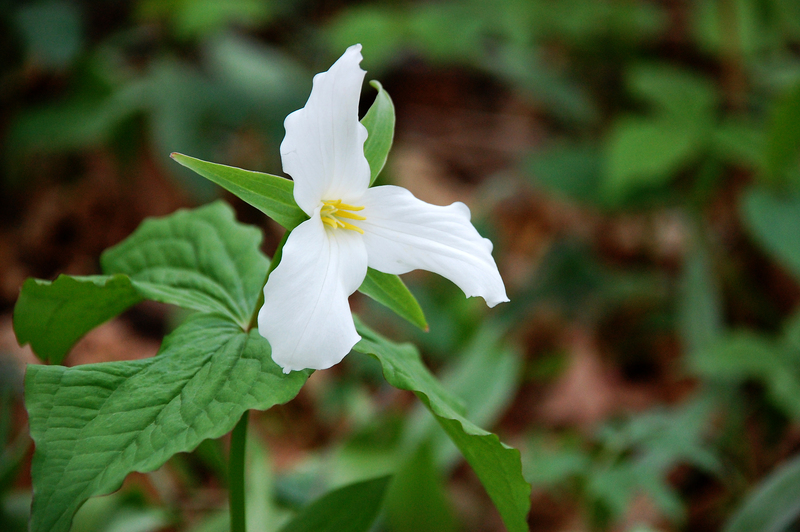 The official name of this type of Trillium is Trillium grandiflorum (Large-flowered Trillium). The plants themselves are pretty big, about one foot tall, and the flowers are about 3 inches across. 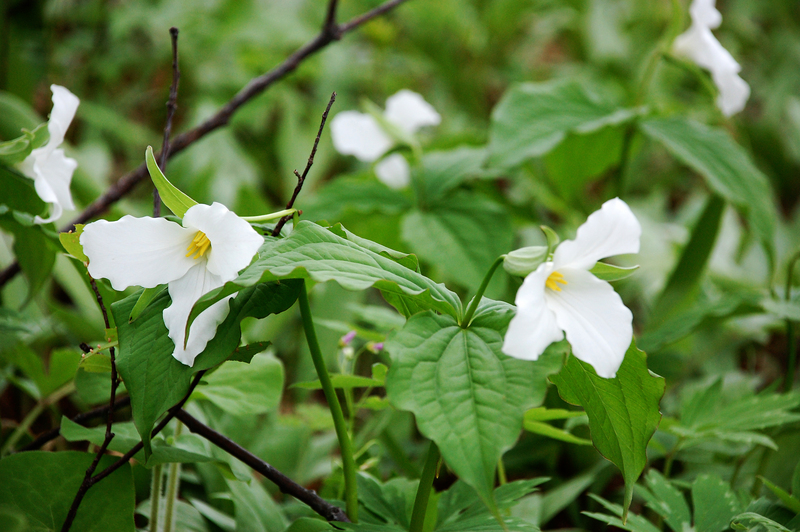 Large-flowered Trillium is the largest Trillium. It is long-lived but slow to mature—it can be several years between the time seed is germinated and the first flower blooms. The seeds are mostly spread by ants, which take the fruit to their underground homes, eat the fruit flesh and leave the seed behind. 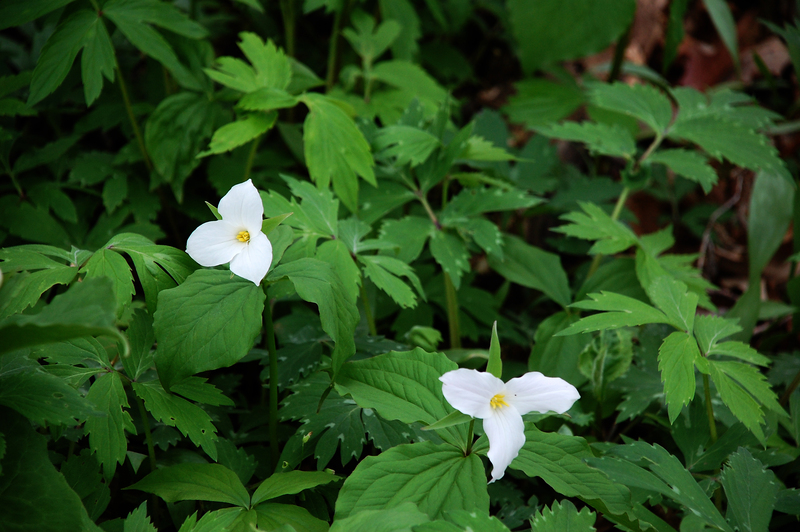 Over the ten years that we have lived here, we have seen a steady increase in the number of Trilliums populating the woods. I guess the ants have been busy! Whatever the reason for their increased abundance, they are a welcome addition to the parade of woodland wildflowers we enjoy every spring at our farm.